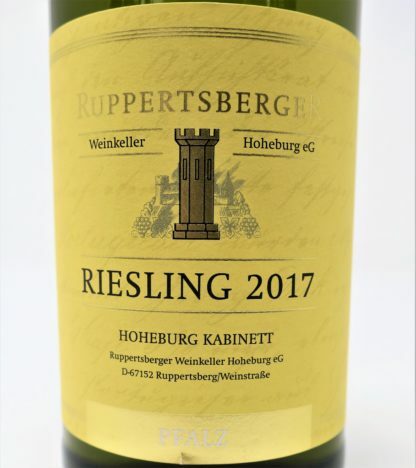 Ruppertsberger Hoheburg Riesling Kabinett 2017 • BRUMMS QUALITY WINES, INC.
A great-value off-dry, full-flavored Riesling from the heart of the Rheinpfalz. Gentle with a touch of honey and a twist of lime. The Ruppertsberg cooperative, brilliantly managed by wine-maker Gerhard Brauer, is situated in the heart of the Pfalz's best vineyard. Because of their success, they have recently taken over two neighbouring coops at Königsbach and Meckenheim, so they now control 450 hectares, planted 40% with riesling and 40% red grapes, chiefly dornfelder. 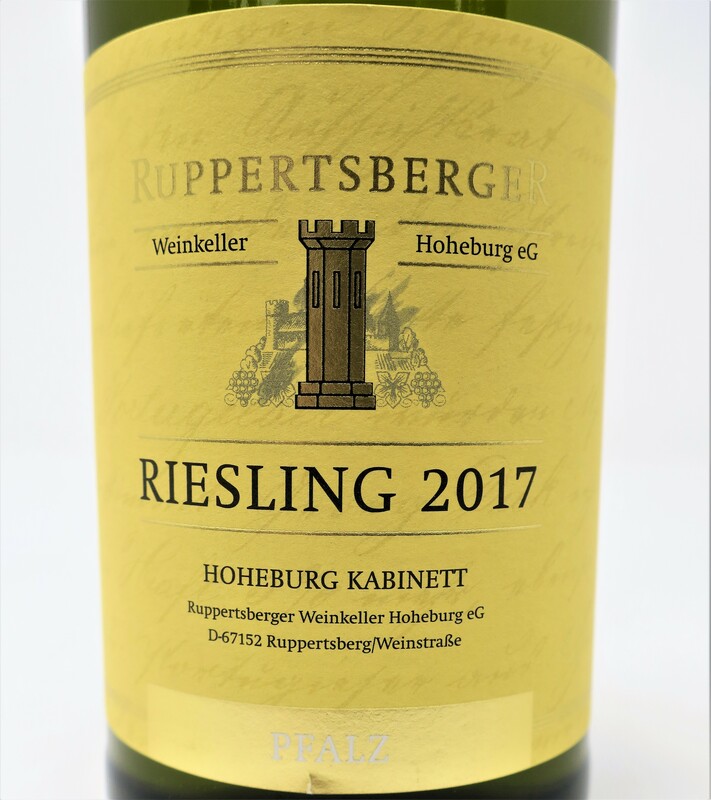 The Society buys only their best wines which comes from their original holdings in Ruppertsberg, including their top site Hoheburg.